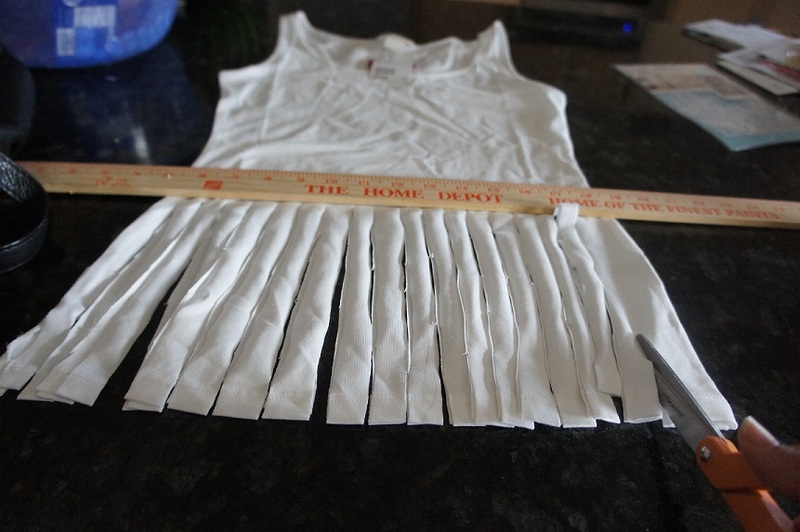 Here is a super easy tutorial on how to make this cross fringe tank top inspired by macrame. What is that you ask? Sounds fancy but macrame basically means knotting. The best part about it is no sewing necessary and all you really need is a pair of good scissors. 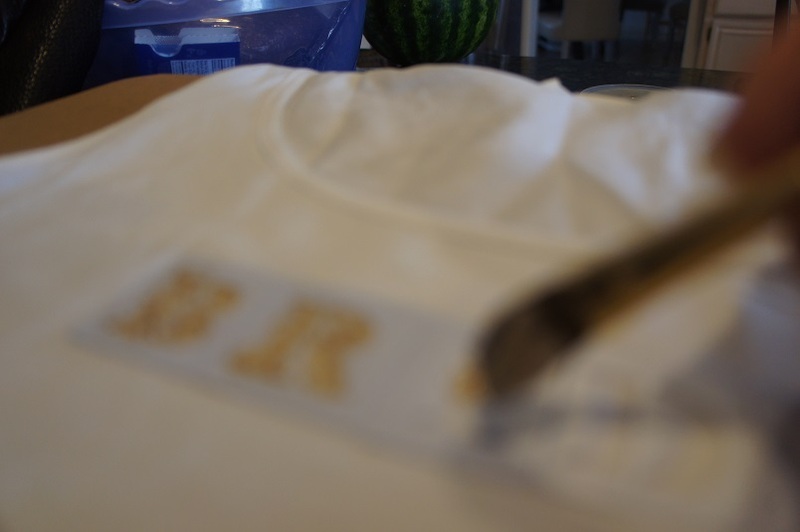 A really close friend of mine is getting married so I decided to try my hands at customizing a shirt for her. 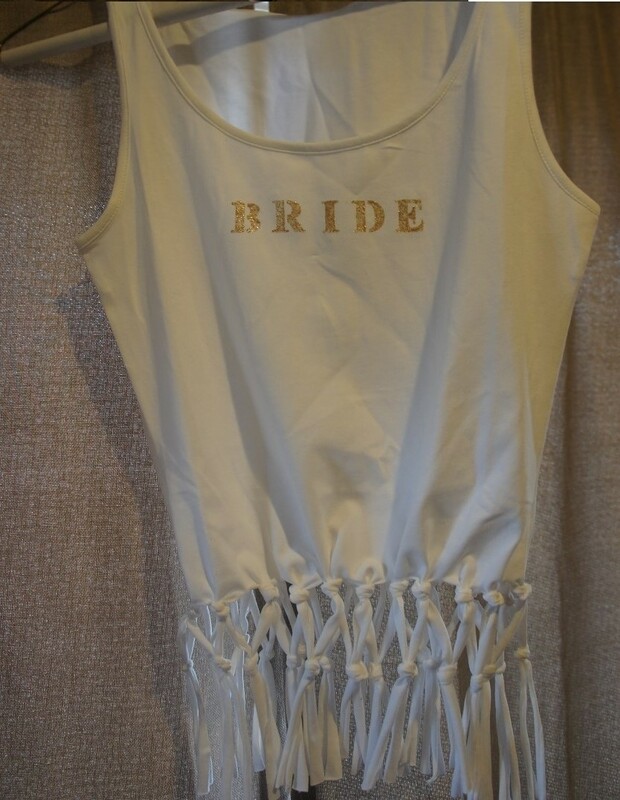 Shirts can cost upwards of $25 or more and I wanted to make this for the entire bridal party (there's 5 of us). Since I was on a budget, I went the DIY route and created matching cross fringe tank tops for all 5 girls for under $50. Not too shabby right? See below on how you can make it yourself. First, measure about 7 inches high and 1/4 inches wide for each stripe and draw a line with the ruler going vertical. (I eventually stopped doing it and started cutting it freehand, which saved me a lot of time. Plus, it looks more vintage if it’s not all the same length and width. Second, cut straight vertical lines around the whole bottom of the shirt. 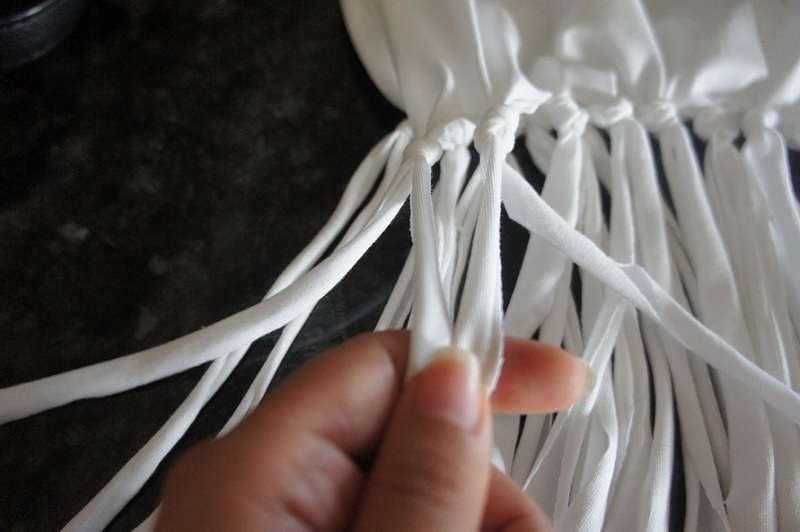 Then tie the knots to gather the fringes by pairing it with the neighboring cut strand. 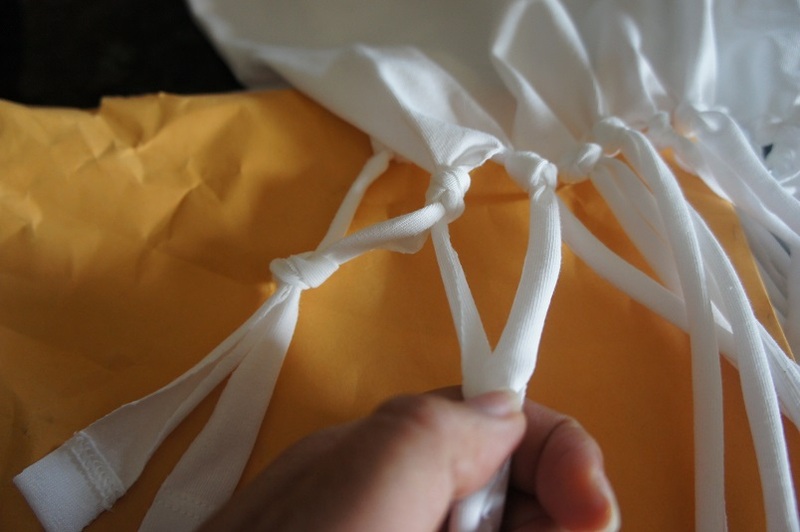 Next, cross and knot the strands as depicted in the pictures. Start a second line after completing one line all across. Honestly, it took me a couple of tries to get it right so if you don’t get it right the first time, don’t fret. 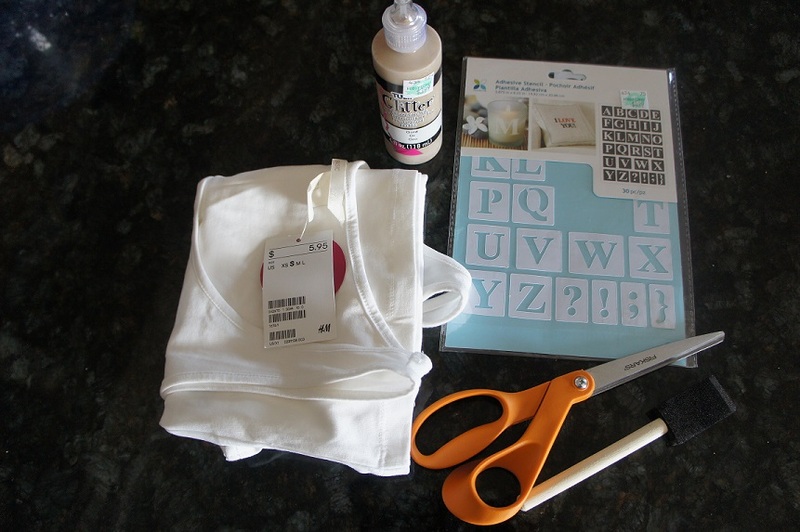 Lastly, adhere to the stencil to spell out "BRIDE" (also "BRIDESMAID" if you're going to do it for the whole bridal party). You can use the water bottle as a paint tray (recyclable and reusable, sweet!). Overall, it doesn’t take too long (approximately 30 minutes to do this) and it’ll make such a cute gift for the bride-to-be. Oh and if the ends are too uneven, just cut them so they match. 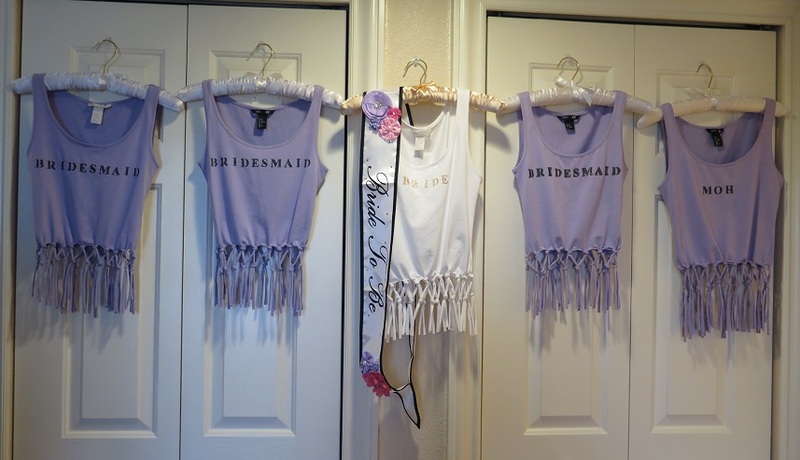 Have you tried making any DIYs for a bridal party? If so, do share below. Would love to hear them. Hope you enjoyed this tutorial. Happy crafting!